I’m an avid note taker but like most people, after about three days my notes are hard to figure out. Sometimes notes need more context than the fast paced scribbling you commit to paper. 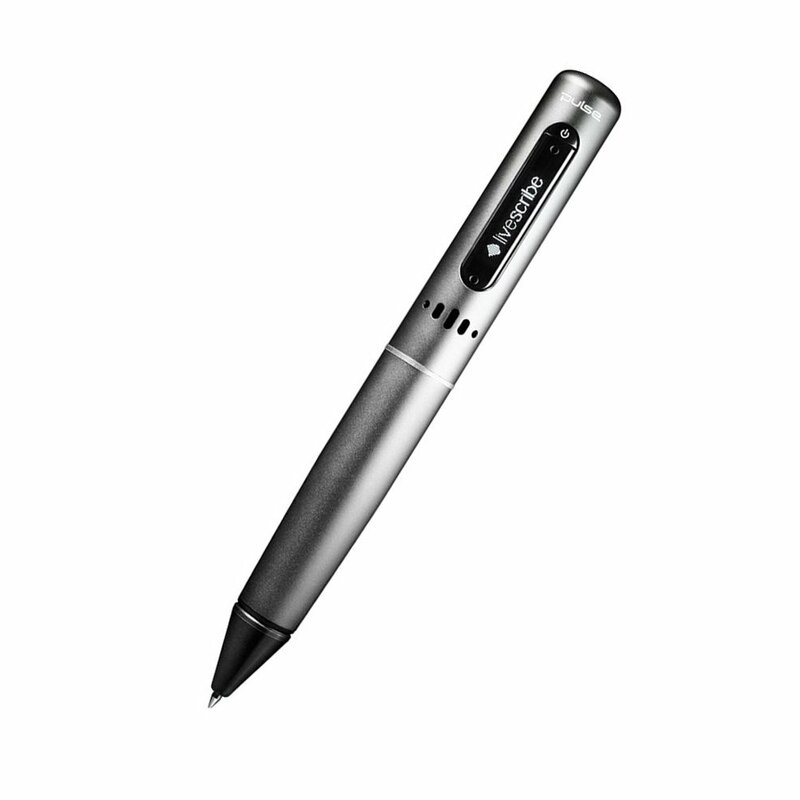 The Livescribe 4 GB Pulse Smartpen sets out to alleviate that problem completely. The Livescribe 4 GB Pulse Smartpen is perfect for students taking notes in lecture, workers taking notes in meetings, and writers writing the next great American novel. It records what is being said as you take notes so when you go back to your notes you can hear what you were listening to as you were writing. All you have to do is tap your Livescribe pen to the part of the notes you’ve taken and the audio you’ve recorded will start playing. All the sudden the chicken scratch you wrote in a fast-paced fury becomes legible! With 4GB of memory, the Livescribe can store 400 hours of audio or 64,000 pages of notes. The only downside to this wonder pen is that it works exclusively with with Livescribe’s own brand of “dot paper” but with each purchase of the pen a starter set is included so you’re not left high and dry. It is a little on the pricey side but for people who commit things to memory by writing and not by typing, it is quite a help. Sometimes you just can’t catch everything your boss mumbles as he points to pie charts on a PowerPoint. Sometimes you’ve got a better idea than you can write so you speak it as you take notes. Sometimes the professor is rambling and it’s hard to separate what’s important and what’s not. The Livescribe helps you go back later and sort out your notes. The Livescribe 4 GB Pulse Smartpen comes packed with 4GB of memory that you can upload to your computer or upload to the internet because it comes with free 500MB of online storage. It also comes with 50 sheets of Livescribe dot paper to get you started as well as Livescribe Desktop Software, 3-D Recording Headset, USB mobile charging cradle, and 2 black fine point ink cartridges. It’s lightweight and easy to use; if you can use a pen you can use the Livescribe! At $169.99, the Livescribe 4 GB Pulse Smartpen is no ballpoint but it does much more. You can take complete notes but relax because you’re recording at the same time. However, the fact that you have to buy Livescribe branded dot paper can be a drag on the wallet. If you’re an avid note taker but suffer from the disease of “I-can’t-read-my-own-writingitis,” this pen may cure your frustrations. If you’re confident in your penmanship, you can probably safely stick to ballpoints.